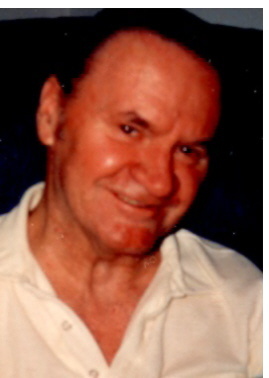 William G. Hynes Sr., 81, of Milford, died Friday, June 15, 2012 in the Milford Regional Medical Center in Milford Ma. He was the husband of Rosalie A. (Tomaso) Hynes of 50 years. He was born in Braintree, Ma, son of the late Thomas and Louise (Galvin) Hynes and lived in Milford most of his life. He was a graduate of the St. Mary’s High School class of 1949. He was a Korean War Navy Veteran serving on the USS Franklin D. Roosevelt. Mr. Hynes retired in 1996 from the Waters Corp. in Milford where he was employed as a machinist. He was a communicant of the St. Mary’s of the Assumption Church. In addition to his wife he is survived by four sons, William G. and his wife Shelley (Breau) Hynes Jr. of Uxbridge, Paul E. and his wife Cathy (Arguin) Hynes of Milford, Sean M. Hynes and Lisa Lombardo of Pleasant Valley NY, David M. and his wife Jessica (Capistran) Hynes of Millville, one sister Dorothy DePardo of Milford, eleven grandchildren, several nieces and nephews. He was predeceased by his brother Thomas Hynes. The funeral will be held Wednesday, June 20, 2012 at 9 A.M. from the Consigli-Ruggerio Funeral Home 46 Water St. in Milford MA. A mass of Christian burial will be held at 10 A.M. in the St. Mary’s of the Assumption Church on Winter St. in Milford MA. Burial will be in the St. Mary’s Cemetery on Cedar St. in Milford. Calling hours are Tuesday 4 to 8 P.M. Happy fathers day dad... I will miss you more than you can ever know. I love you.. Deepest sympathy from across the miles. My heartaches for the Hynes Family. Please know you are all in my thoughts and prayers during this difficult time. Please know that you are in our thoughts and prayers. Thinking of you all. Our deepest Sympathy to the entire Hynes Family, You are in our thoughts and prayers.Please let us Know if there is anything we can do To help you in this difficult time. Sending You all our love and prayers. May he rest in peace, We are so sorry for your families loss. And you all will be in our thoughts and prayers. To the Hynes Family - I was so sad to hear of your loss. You are such a great family and will be in my thoughts & prayers. Dear Rosalie,Billy,Paul,Sean,David & Families - I will alway's remember Hynsie singing his Irish songs ( I had a hat & Alleluia I'm a bumb plus countless others! He also had a knack for telling a few Irish tales as well!) I will treasure the family vacations our two families took together as well as the lifelong friendship Hynsie and my father Clem shared! Our prayers and Love are with you all! To the Hynes Family, Please know our thoughts and prayers are with you and your family during this difficult time. May the comfort of friends and family be your strength for today and the days ahead. I am sorry for your loss, my thoughts and prayers are with you during this difficult time.